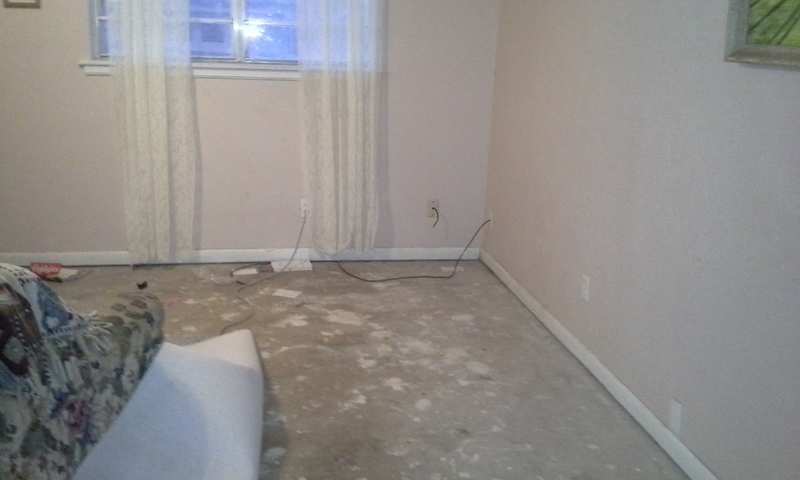 When I set out for our trip to Florida, I was hoping to return to a house full of new carpet and flooring. This was not to be. We decided that we would wait until I got home from Florida to figure out our best option. 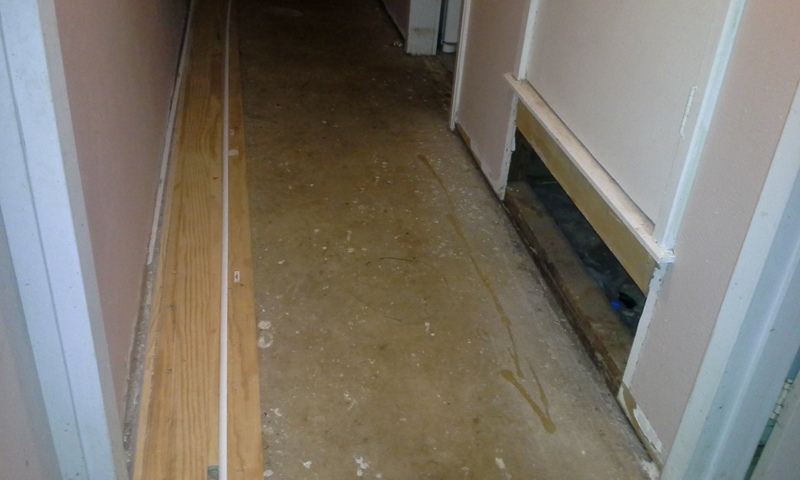 Our insurance (understandably) would not pay to have the floor leveled since it was not related to the flood, just the house being old. 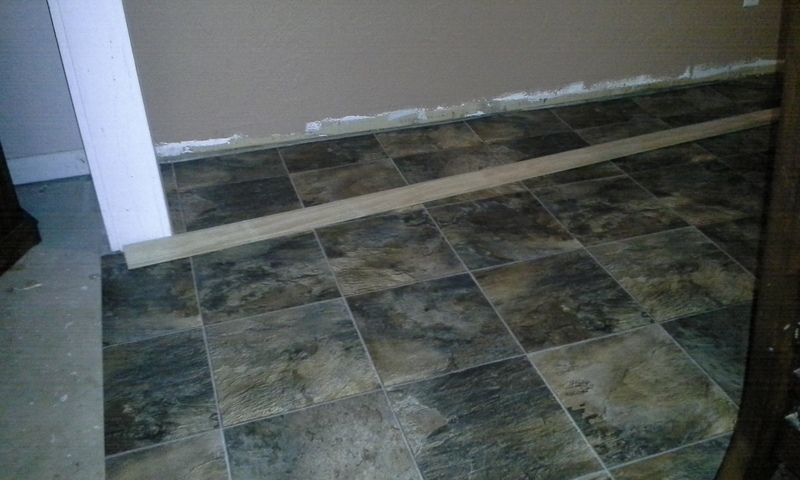 We decided that it would not be worth the expense, and especially the hassle, of fixing the subfloor right now. 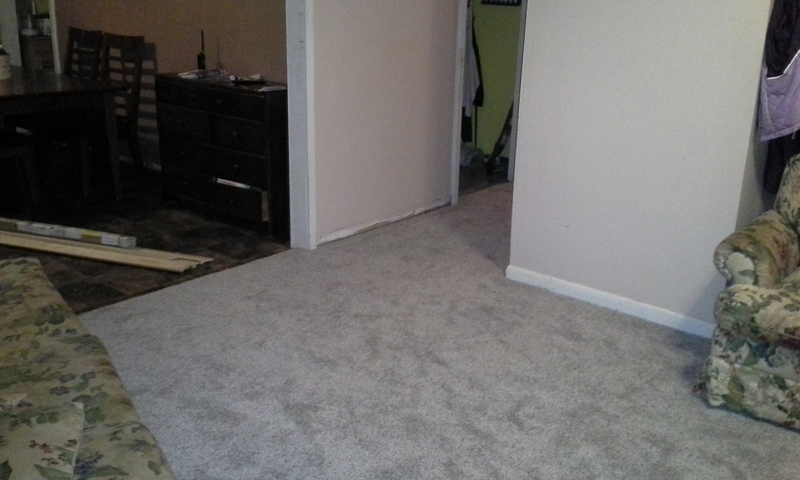 We chose to put down carpet in the living room and hall because the subfloor issues wouldn’t matter under carpet. So we returned all of the vinyl planks to Home Depot and ordered more carpet. I didn’t want to put carpet in the dining room, because we eat all our meals in there (we don’t have an eat-in kitchen), and let’s just say that peanut butter and jelly is a lot easier to clean off of vinyl than carpet. When faced with installing the vinyl planks again, I decided that I would just go with the easier (and much less expensive) option of sheet vinyl. The sheet vinyl was not very difficult to work with. Of course it helps that the dining room is almost a perfect rectangle–I only had to cut a straight line down one wall and trim around the doorways. The fun part is going to be putting in the baseboards. I still have that left to do. Today they came and installed the last of the carpet. We now have flooring in every room of the house. It has been more than five months since the flood, and I have to say that I am much more thankful for the carpet and floors that I walk on than I was six months ago.